With thanks to David Laycock who sent the original scan of Sutton United Reserves football team with some names, and Tony Ingham who sent a higher quality scan of the same photo from Roy Simons and additional names. 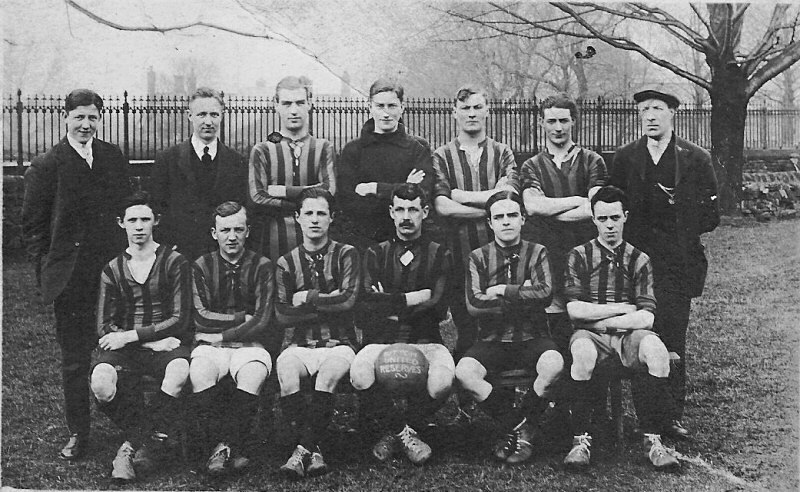 Back row: Sidney Laycock, Gordon Laycock, Horace Akrigg, Donald Laycock (David Laycock's Dad), Edward Greenwood, J Godfrey, S Butterfield. Front row: Arthur Stirk, Charlie Teal, G Smith, Charlie Simons (Roy Simons' Grandfather), A Smith, M Parkin.